North Fort Myers is on the lower Gulf Coast of Florida, 120 miles south of Tampa. Positioned slightly inland of the coast and on the Caloosahatchee River, it is best known as the north neighbor of Fort Myers. Until recently this area had failed to grow as well as its sister cities of Cape Coral and Fort Myers but it is making some strides. Developments east of Interstate 75 and along the river are producing Condominiums, townhouse and single family residence communities which may change the reputation of this little known area. It does have some splendid natural growth as shown in the pictures of the Caloosahatchee Regional Park (to the right). Affordable housing can easily be found ranging from manufactured home communities, where golf, tennis and swimming pools are featured to some of the newer condo and townhouse communities. Alva is a small hamlet known for its wine (yes, wine!) and location. 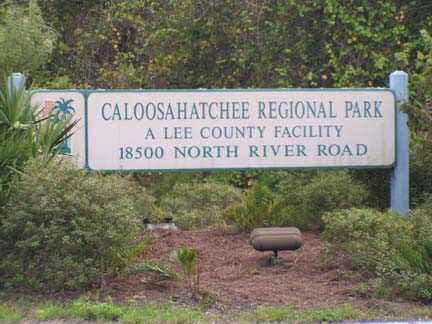 An older settlement along the Caloosahatchee, it is a favorite of those wanting to live on mini-ranches or get away from the coastal developments. 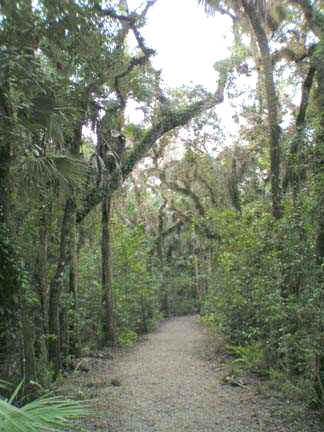 Visitors to North Fort Myers can easily tour the southwest Florida cities in the area. 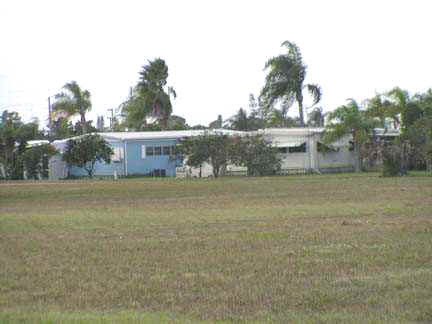 Cape Coral is the western neighbor and Fort Myers is just across the river. Pine island lies just 35 minutes west and includes Matlacha, Bokeelia and St. James City. A 45-60 minute drive south will find Estero, Fort Myers Beach, Sanibel and Captiva Island. Naples is little more than an hour's drive south on US Highway 41 or Interstate 75. The Punta Gorda / Port Charlotte area is 20 minutes north. Shell Factory has millions of shells, crafts and gift items. Motels and condos at north end of Caloosahatchee Bridge. Franklin Lock area on Caloosahatchee River. 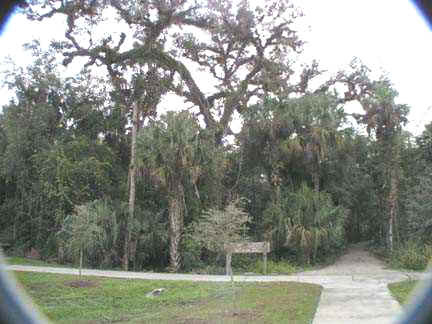 Pictures (above, below and side) show the Caloosahatchee Regional Park in East Lee County (near Alva). This is a little-known gem on the Caloosahatchee River. 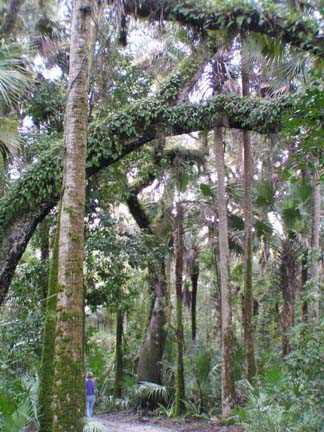 Trails meander through some of the oldest/biggest Oaks and Sable Palm trees one can find in Florida. There are picnic tables, grills and restrooms here. Photo of downtown Alva church. Alva Museum and Garden Club. House on the river. Pictures showing (left) a public boat ramp and some shots from houses on the river. 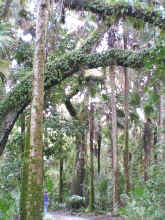 Picture (left) of Pothos vine on Oak tree. Viewers may recognize the small leaves at the base as this vine is frequently used by florists as filler in tropical potted plants. Pictures above are river views in Alva.